Keith Batten FRICS is the Managing Director of Right Surveyors Glamorgan Ltd, which covers Cardiff and the South Wales area. He has over thirty years’ experience as a Chartered Surveyor, and is a Fellow of the Royal Institution of Chartered Surveyors (RICS). 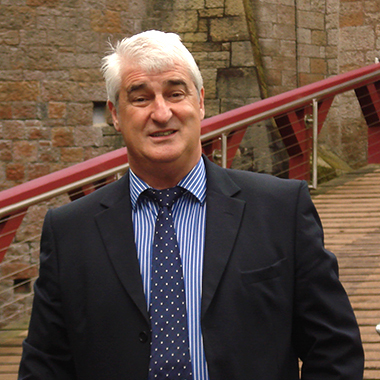 Having lived and worked in South Wales all his life, Keith knows the area and its property very well. He uses his expert local knowledge to provide a professional and comprehensive service for all of South Wales. With a wide and varied career so far, Keith’s specialist knowledge allows him to provide site acquisition, valuations, planning application, repair and maintenance works and expert witness services, amongst all the property services listed below. Please click on a service to find out more about it. Contact Keith and his team by phoning 02921 932 193 or freephone 0800 880 6024. You can also send an email to keith.batten@rightsurveyors.co.uk or even chat to us using the widget in the bottom right of your screen. Oh, and feel free to leave some feedback for Keith and his team by posting a comment below! I’m just sending a quick email to say how much I appreciated Mr Batten’s quick, clear and very honest response to my enquiry. He obviously has considerable experience and wisdom in the matters of boundaries. Many, many thanks for sending such a comprehensive report to us. We will now be contacting the regeneration department of the local authority and without your invaluable and expert help I am positive that we would not be in a position to ‘argue our case’ as we are simply lay persons. We will be having the damp proofing and timber works carried out as soon as possible as we have already had several quotations and now thanks to your report we can also instruct builders to remedy what is wrong. We still love our house as it has such character, however once these things have been done at least we can sell it with a happy heart knowing it is in good order! Thanks again for your excellent service and should we need further help we will contact you. Thank you for the comprehensive report, it’s proved very useful in helping us decide whether to proceed with the purchase of the property. Thank you very much for such a comprehensive report detailing the works that needed to be carried out. You gave excellent service and explained everything properly and I would have no hesitation in giving my personal recommendation. Thank you for the very comprehensive and concise report. It has been really helpful.